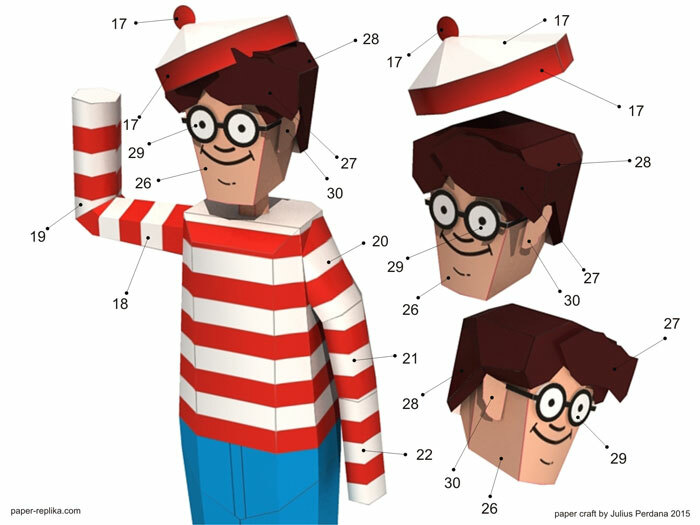 Where's Wally / Waldo Paper Craft	. 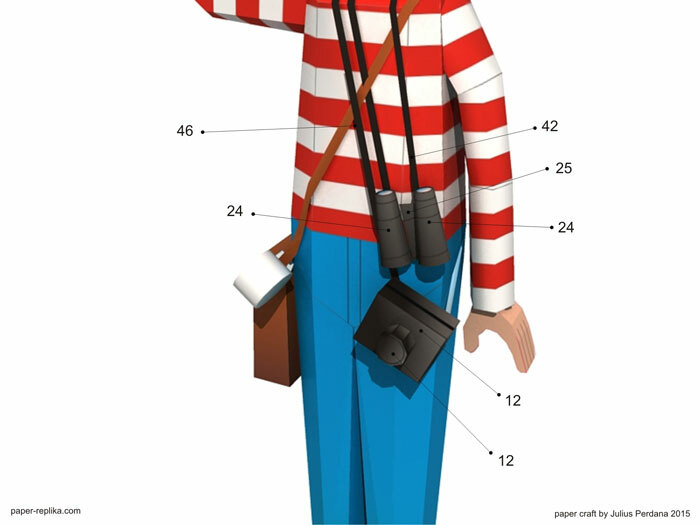 I still remember when I was in elementary school, my friend brought a book with lots of pictures but not a comic, we have to find a person with a distinctive outfit in the crowded beach, park or town scenery. 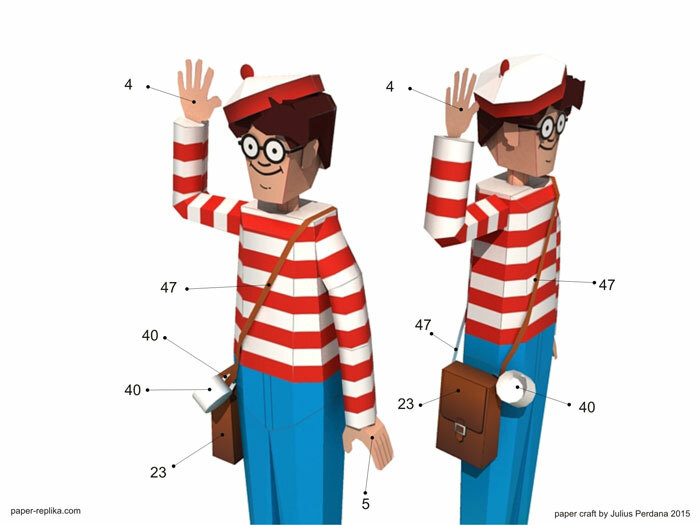 It's very interesting, even though he's wearing a unique red white stripe long arm T-shirt, it's not helping much, it's still hard to find him. 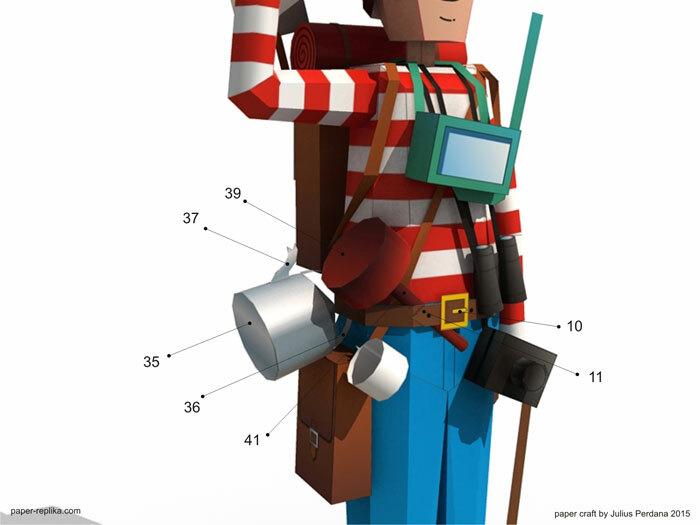 The book is titled Where's Waldo. 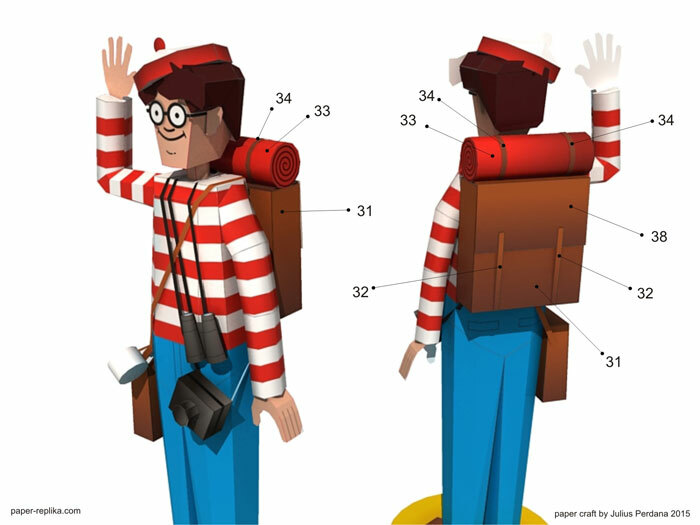 I just know that Waldo has many names. 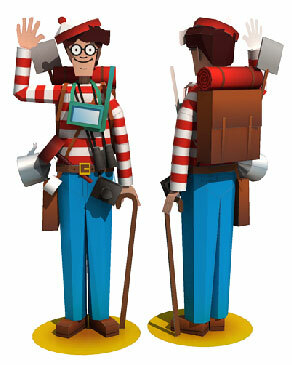 in the US and Canada, he called Waldo but in the UK and Europe also called Wally. 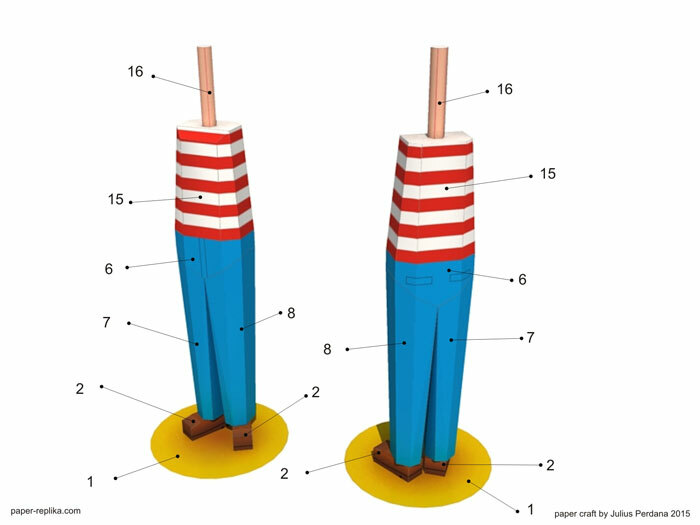 The book series is created by the English illustrator Martin Handford. 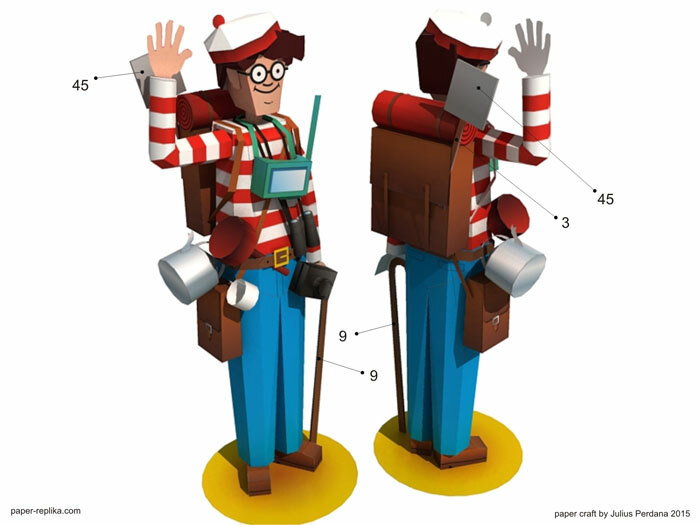 I'm surprised there's no Wally / Waldo paper craft out there, so here it is, I made it for Waldo fans. 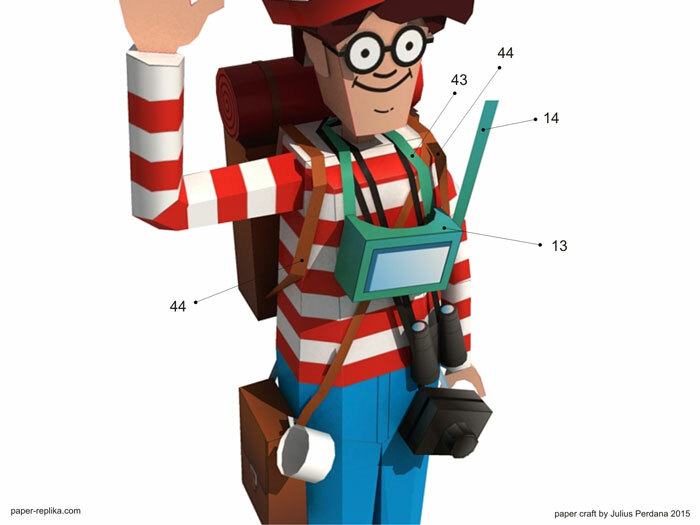 Now you can make your own Where's Wally scene, by putting this paper craft in the crowded area and take a picture with your camera and the game begins for your friends and family.